SALT BOX Kitchen, Bakery and Bar – Wooden boxes, typically hanging in kitchen homes, date back to 16th century Europe and later the Colonial Americas, where salt was a staple ingredient in both cooking and preserving food. Aptly named, salt boxes, these small boxes usually held a pound of salt and were built to keep salt dry and in granular form when hung by the kitchen fire. It was believed that if a house had a salt box, it was a warm, comfortable and welcoming home. SALT BOX Kitchen, Bakery & Bar is now open at Granary Road! A new venture by the owner of Calgary’s famed Holy Grill restaurants, SALT BOX is the hub and heart of the Granary Road public market. Come check out our Introductory Menu this Friday, Saturday & Sunday that includes our zesty Might Wings, our soon to be famous Box Burger, our Granary Road vendor collaboration Market Plate and our incredible Garlic Parmesan Fries. You’ll also want to snack on some delicious freshly baked breads and other homemade treats from our SALT BOX Bakery or come on up to the SALT BOX Bar and we’ll pour you a cold one. A selection of your favourite comfort foods all made from scratch and served casually from the SALT BOX kitchen counter. Gather the kids, grab some friends and come try some of our carefully crafted dishes prepared with local ingredients and made with a passion for perfection. SALT BOX Kitchen is open Friday & Saturday from 11am - 8pm and Sunday from 11am - 5:30pm. Here are a few of the featured dishes you’re going to love at Salt Box kitchen! Juicy Alberta Beef burger. Grass fed, locally raised beef patty hand formed and charbroiled to perfection. Topped with crisp lettuce, beefsteak tomatoes, aged Cheddar cheese, dill pickles, our special burger sauce and served on a freshly baked house made bun from our SALT BOX Bakery. Served with hand cut golden French fries. Local hand cut, skin on fried Russet potatoes tossed in chopped garlic, lightly sprinkled with olive oil, seasoned with salt and pepper and loaded with freshly grated Parmigiano Reggiano cheese. We may not have invented the Garlic Parmesan French Fry, but we sure did perfect it! Tomato soup with grilled cheese croutons. A steaming bowl of creamy soup filled with tomatoes and tangy flavour. Finished with a heaping spoonful of miniature golden, gooey, grilled cheese sandwich bites. 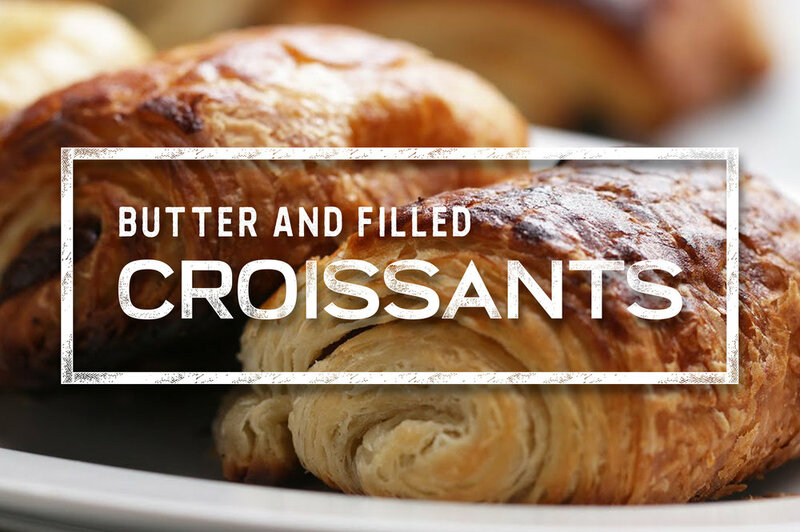 Early each morning our bakers shake the flour off their aprons and begin to prepare the day’s assortment of artisan breads, gooey filled croissants, classic cookies and seasonal muffins. By the time the doors open the wafting aroma of baked goodness has filled the market and folks are enjoying today’s fresh-baked sweet and savoury creations with a cup of delicious hot coffee or tea. Whether on your way into the city to work or looking for a relaxing spot to start your day, SALT BOX Bakery is the spot for warm baked yumminess. SALT BOX Bakery is open 11am - 7pm on Friday and 9:30 - 5:30 on Saturday and Sunday. Enjoy the spectacular vistas of the surrounding Foothills countryside above the bustle of the Granary Road Market at Calgary’s only interior rooftop bar. SALT BOX Bar has multiple local craft beers on tap and in the bottle plus a fine selection of red, white & rosé wines for you to choose from. Our mixologist can make just about anything you can imagine from the full bar including our signature SALT BOX Caesar. Join us Friday and Saturday for Happy Hour from 4pm to 6pm!